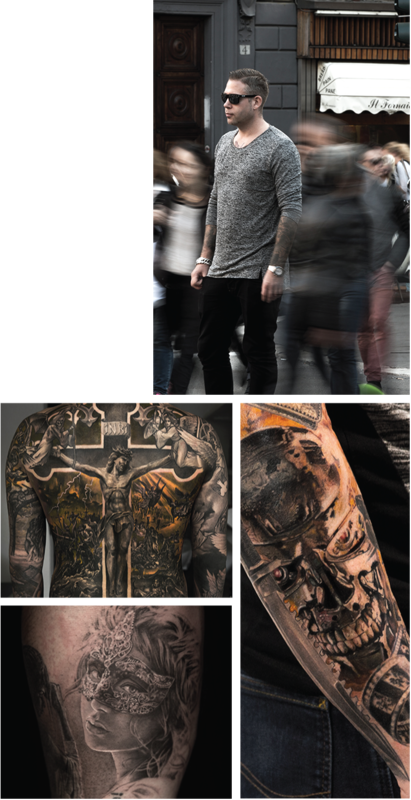 Niki is an award-winning tattoo artist who has helped coordinated his hometowns very own Goth Ink Fest, Gothenburg International Ink Festival. This Swedish artist has been in the industry for over 15 years and is currently tattooing in Gothenbergs Wicked Tattoo studio. Niki is well known for his realistic and intricate portraits. His favorite style of tattooing is realism, he has a tremendous eye for high level detail and clear contrasting. It is no wonder that his black and grey tattoos feature smoky shadings and smooth elements.